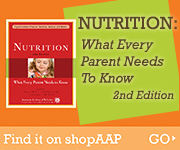 Healthy Children > Ages & Stages > Gradeschool > Nutrition > Is Your Child Overweight? Pediatricians evaluate children’s growth and build by means of standardized growth charts and body mass index (BMI). Growth charts show whether a child falls within the normal range of height and weight for her age. Children whose weight or height is above the 85th or below the fifth percentile should be examined by a doctor to determine whether further evaluation is needed. Pediatricians also will watch for fluctuations in children’s weight, which may mean something has changed and put them on the path toward gaining excess weight. Body mass index is a calculation of your child’s weight relative to height. A BMI above the 85th percentile means overweight, while children above the 95th percentile are considered obese, which increases their risk of chronic diseases such as heart disease and diabetes. The BMI percentile that defines severe obesity is 120% of the 95th percentile. If your child’s BMI is between the 85th and 95th percentiles, her excess weight may be fat or muscle. Growth charts and BMI tell only part of the story because neither method measures body fat. Children and adolescents who are particularly athletic with unusually muscular or lean builds may have a high BMI without having excess fat or being obese. In some obesity clinics, as many as 10% to 15% of children fall into this category. Also keep in mind that there are small differences between African American and white children; at the same BMI measurement, African American children and teenagers tend to have more muscle and bone mass and less body fat. However, almost all children and adolescents with a BMI above the 95th percentile have too much body fat, regardless of their ethnicity or muscularity. Some parents wonder how it is possible for 17% of 2- to 19-year-olds to be obese when only 5% of the population should have a BMI above the 95th percentile. The BMI charts were based on children and teens studied before 1988, when not as many youth were obese. At that time, only 5% of children and teens were obese. If your child is overweight because her frame size is increased, reassure her that her extra weight is not fat and encourage her to be physically active to maintain her muscle tone. Also, be actively involved in any discussions with your pediatrician and your child about your child’s weight. To prevent worries about body size, parent and child need to accept the child’s body type. Other members of the family may have a similar build. If you focus inappropriately on weight alone and pester your child to lose weight, she may develop a distorted body image and risk an eating disorder. It’s estimated that 70% to 80% of girls perceive themselves, whether rightly or wrongly, as too fat. Experts warn that a misperception of body image may be partly fueling the current obesity epidemic, with inappropriate dieting followed by rebound weight gain. Many adolescents, particularly girls, become deeply unhappy when they realize that they are never going to be shaped like supermodels or earn multimillion-dollar contracts as movie stars. Help your daughter feel comfortable with who she is. Reassure her that real beauty is more than skin deep. Help her develop her skills and talents and emphasize her positive attributes. Offer her female role models who have made the most of their talents, achieving intellectual and humanitarian goals or raising healthy, balanced children, instead of trading on their looks for superficial success.